With over 30 years of experience and thousands of temporary and regular full-time placements annually over a broad range of Fortune 500, mid-sized, and small companies, Brickforce Staffing is recognized as the largest staffing company specializing in light industrial temporary labor in New Jersey. We excel in providing cost-effective staffing solutions. As a full service staffing firm, Brickforce is successful at assigning highly effective personnel to temporary, temp-to-hire and regular full time positions. We staff from entry level up to senior management, warehouse / manufacturing employees, as well as general office / clerical positions. Brickforce Staffing is dedicated to bringing individuals and companies together in a partnership that works – a compatibility that ensures success for our client as well as for the employee. Jerome Bricker, a visionary in linking temporary jobs, employees and transportation, founded Brickforce in Edison in 1986. By establishing satellite offices in urban communities where the largest labor workforce populations reside and offering a transportation component, Brickforce has defied regional labor shortage reports by offering thousands of qualified workers access to jobs they would not otherwise be able to reach. This successful formula has resulted in hundreds of employers, statewide, recognizing the value of partnering with Brickforce, and reaping the benefits of the company’s abundant supply of qualified temporary employees. Mr. B as everyone called him, recognized that there were plenty of agencies assisting with administrative and office support staffing, but not many for the light industrial worker. As the family business grew, Mr. B’s sons, David and Jeff, joined the company in the late eighties/early nineties. By 1994 David assumed the position as company CEO and Jeff took on the role of Vice President. The two generations of Brickers worked side by side for over two decades. Brickforce temporary associates are ready and willing to work anywhere and on any shift, including holidays, weekends and overnights. 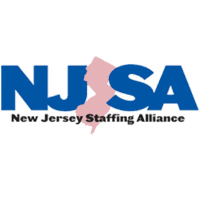 With more recruiting offices than any other light industrial staffing service in New Jersey, our associates are only minutes away from any of your company’s work sites. No matter how large or small your particular hiring needs are, we can meet them and deliver any number of qualified production workers you order, on time. Maintaining our tradition of offering accessibility and full service to our clients and employees has been, and will always be our top priority. Sign up your company today!